Only a few months after this portrait was drawn, Dave Havsgaard passed away from natural causes. His brief presence in my life left a HUGE impact. He was such a gentle soul. I will never forget him. 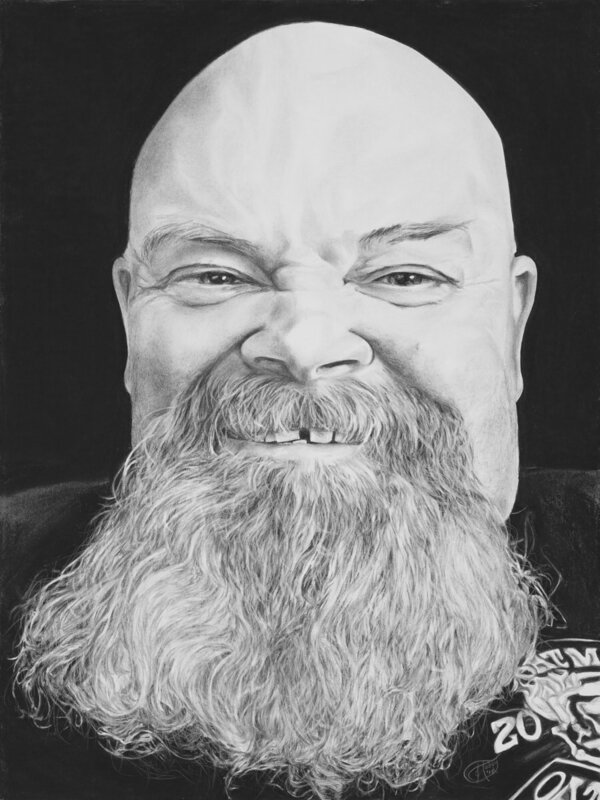 A chaplain for combat vets motorcycle Association, Dave’s smile could light up a room. After he and his younger brother were stationed together on board the USS John Paul Jones a guided missile destroyer, the struggles began. He did sometimes relive the Paulina Saigon in his head, but he tried to stay focused on the better things in life that meant so to him. He loved to entertain and spend time with his family, and did as much as he could with the VA in Boise. Once he retired, he began to travel more and said, “my life right now is really really pretty good with the help of my friends, my motorcycle Association, and my family.” Dave loved the water and loved to swim. He always had a pool at his home and enjoyed his time in the water.